Enjoy this tasty turkey sausage recipe. In a small bowl, mix all ingredients except for ground turkey. Add spice mixture to the ground turkey in a large bowl and mix by hand until well incorporated. Heat a skillet coated with nonstick spray over medium-high heat. 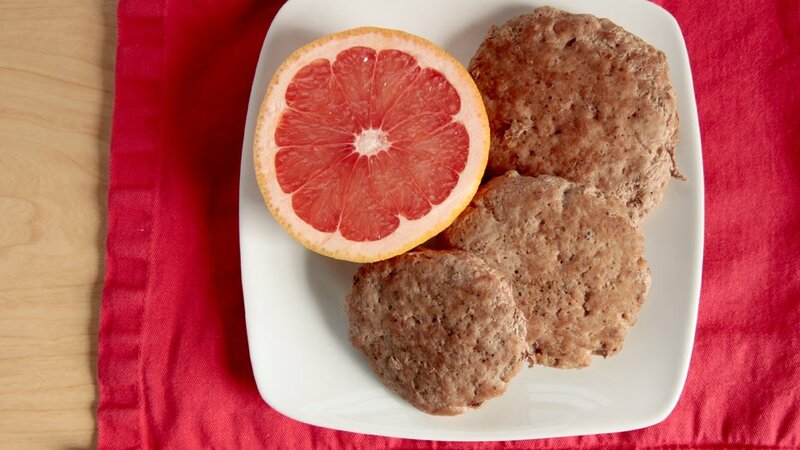 Form meat mixture into 12 patties using a 1/4-cup measuring scoop and pan-fry on both sides until brown and center is no longer pink.